AIS was developed to provide automatic reporting between ships and to shore, which contributes to the safety of navigation and facilitates traffic management by exchanging information such as identity, position, time, course and speed, autonomously and continuously. AIS is a communications system using four worldwide channels in the VHF maritime mobile band, for the exchange of navigation data. 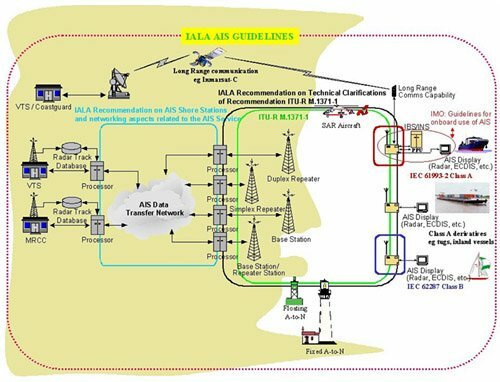 There are numerous AIS devices, known as stations, which are identified by a unique Maritime Mobile Service Identity (MMSI)2 and use an international open standard to communicate. Benya Marine provide all AMEC Product Line to Saudi Arabia, Bahrain , Kuwait, Egypt, Oman marine market. with best after sale services and repairs. Saudi Benya Marine can provide special solutions for authorities to keep watch on the waters. including VTS, VTM systems.